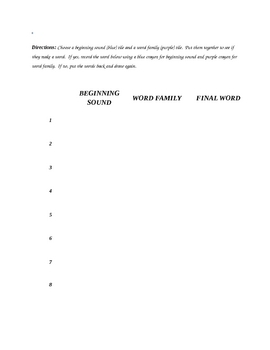 This is a worksheet for a Word Families Literacy Box. The worksheet directions correspond with a Lakeshore Learning Word Families product. You can change the directions to meet the needs of your product.